Four Atomizers in one kit?! 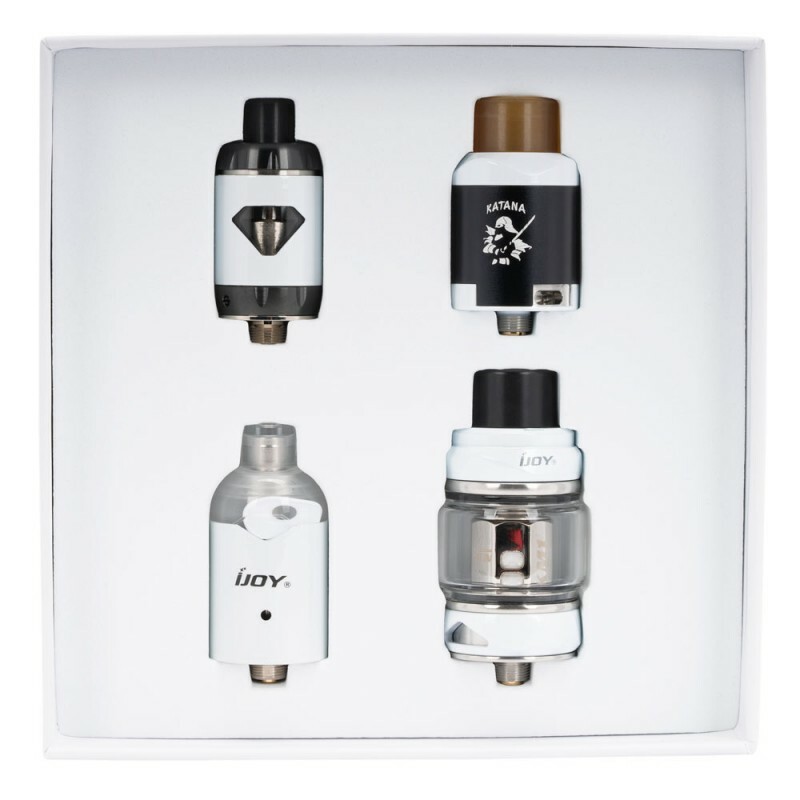 The KATANA Universal 4-in-1 Set from iJoy comes complete with any atomizer you could need for a full vaping experience. Are you ready to get your vape on? 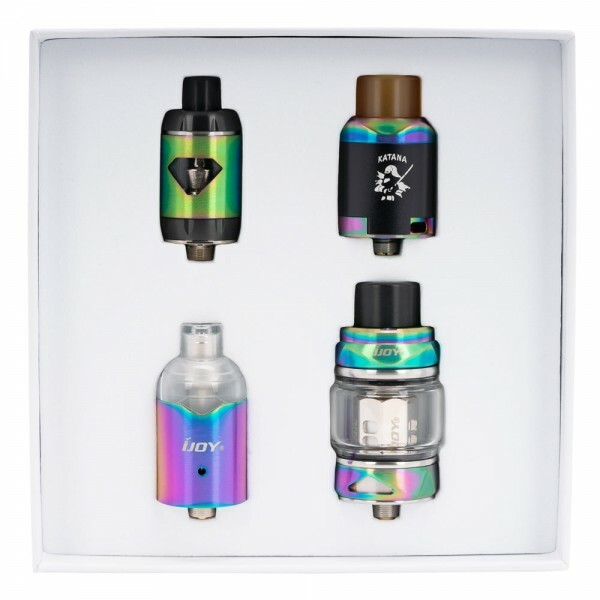 The iJoy KATANA Sub-Ohm Tank utilizes a new design with a modern streamline appearance and a convenient Slide-n-Fill top cap design for easy refilling and to prevent leakage. 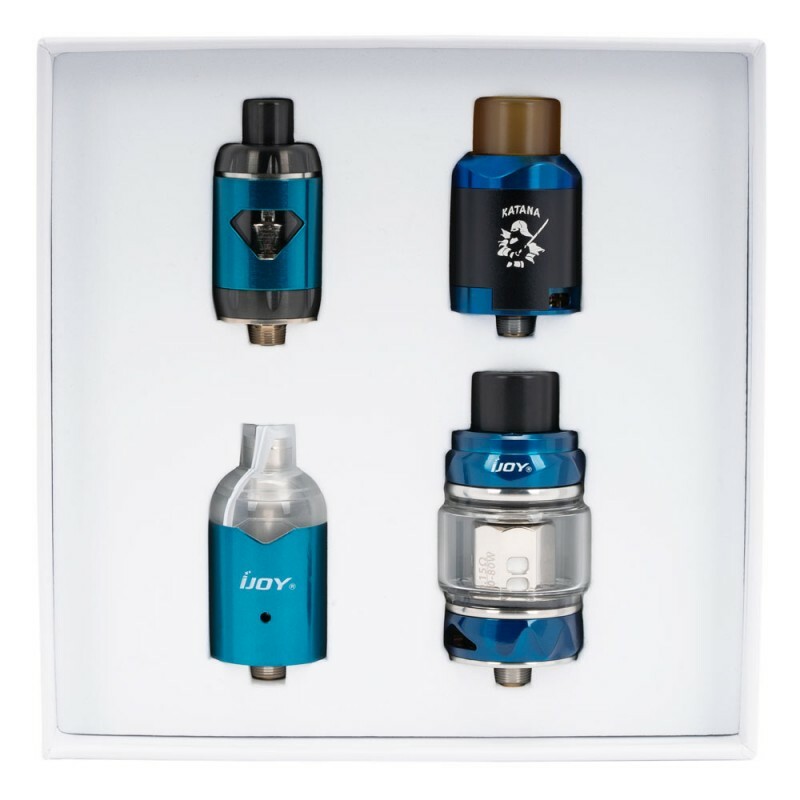 With the application of 5.5mL e-liquid capacity to provide ample space for liquid storage. 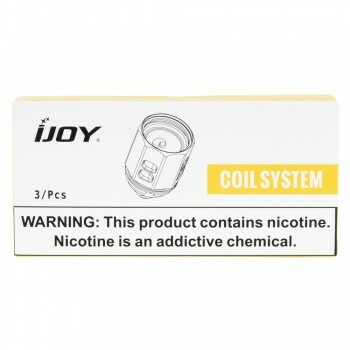 Featuring innovative KM1, KM2, KM3 mesh wire coils and natural fiber cotton to enlarge the heating area, and the use of mesh offers greater flavor, bringing you outstanding clouds with long service life, it also carries balanced triangular adjustable bottom airflow system, which is comparable to RDA's Sub-Ohm Tank. The iJoy KATANA Sub-Ohm tank is definitely an irreplaceable vaping component for you. 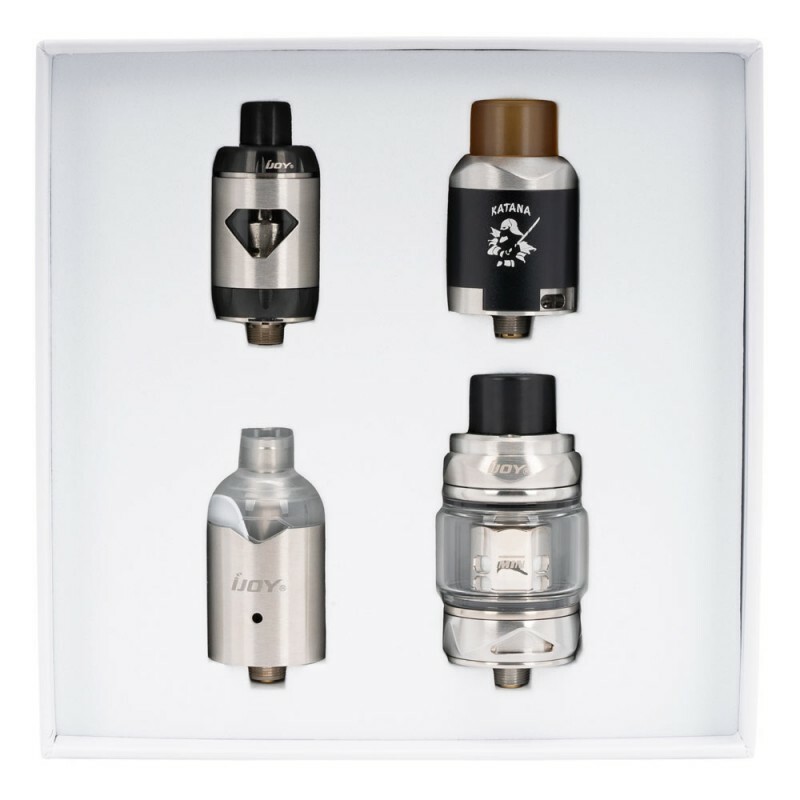 The iJoy KATANA RDA is the newest rebuild-able dripping atomizer from iJoy ECig. Featuring a 24mm diameter with a two post clamp design for larger builds and a dual bottom velocity style airflow for best flavor and cloud production. With the gold plated BF (Bottom Feeder) pin for squonker mods and 810 PEI drip tip, the KATANA RDA is an ultimately great vaping device for most DIY lovers. 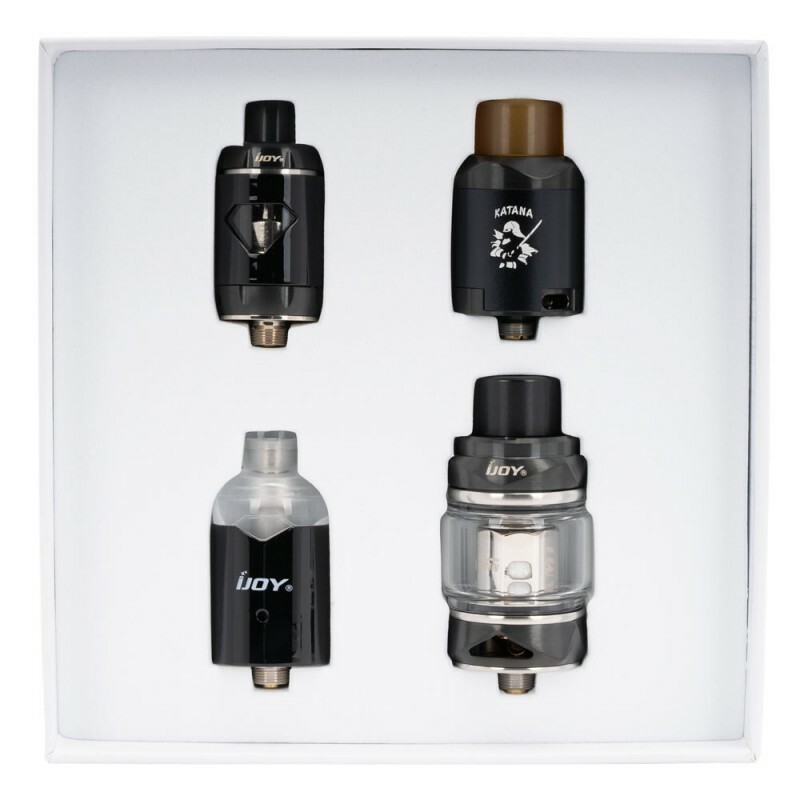 The iJoy ELF MTL Tank is a mini atomizer that is both sleek and compact. The ELF Tank features a threaded top fill with a five level adjustable bottom airflow perfect for mouth to lung vape style perfect for high nic e-liquid. The Elf utilizes a 2mL max e-liquid capacity with a plug and pull coil design. 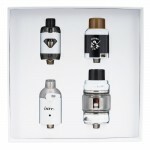 The coil itself features a ceramic atomizing core design for long service life with full flavor and strong stability. iJoy's VPC UNIPOD, a practical device designed for Vape, Pod, and CBD atomizer. The VPC UNIPOD is a pod composed of the VPC Adapter and VPC Pod. Featuring a 2.0mL e-liquid capacity and a simple side filling method, the VPC Pod system is easy to use and operate. The VPC system can be used independently on any box mod with a 510 connection, revolutionizing the market's conventional cartridge + battery POD designs. VPC Pod adopts ceramic heating core, which has good flavor, a high degree of heat dissipation, long service life and sufficient atomization effect. It can be perfectly applied to nicotine salt and CBD!